Bring to life Dr. Seuss’ classic book, Oh, the Places You’ll Go, using household items. This is a great decoration for a graduation party, retirement, kids room, library or just for fun. Click here for my video on how to create Dr. Seuss Oh, the Places You’ll Go Decoration! 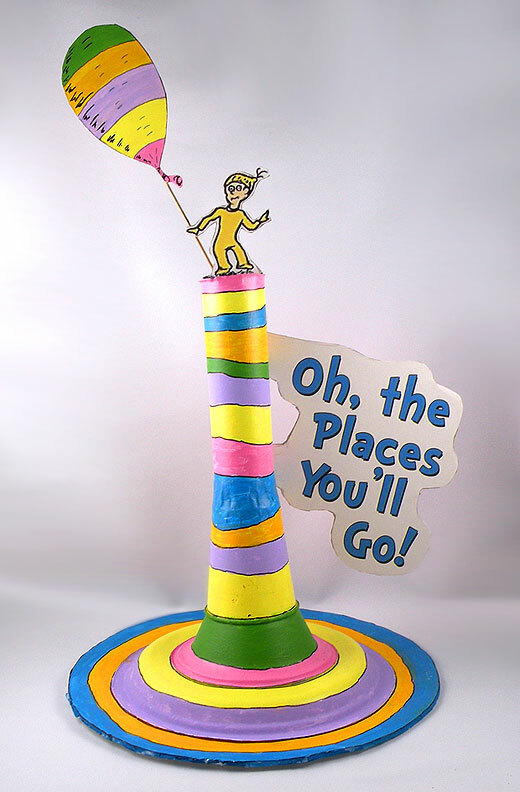 This entry was posted in graduation, kids and tagged dr. seuss, Gina Tepper, graduation, graduation decoration, graduation ideas, graduation party, household items, kids room, oh the places you'll go, retirement party. Bookmark the permalink.